The 60 ha large subsite Pülser Vieh is spart of the N2000 site “Hohenfelder Mühlenau” north of the lake Selent. A small beech woodland and pastures with several ponds grazed by highland cattle characterize the site. So most of the -for amphibians- important habitat features are already realized. The tree frog already had been reintroduced successfully. The fire bellied toad disappeared from the adjacent areas in the 1980th. It is planned to reintroduce the fire bellied toad from the next population 12 km away. Some of the ponds had to be restored as breeding ponds. 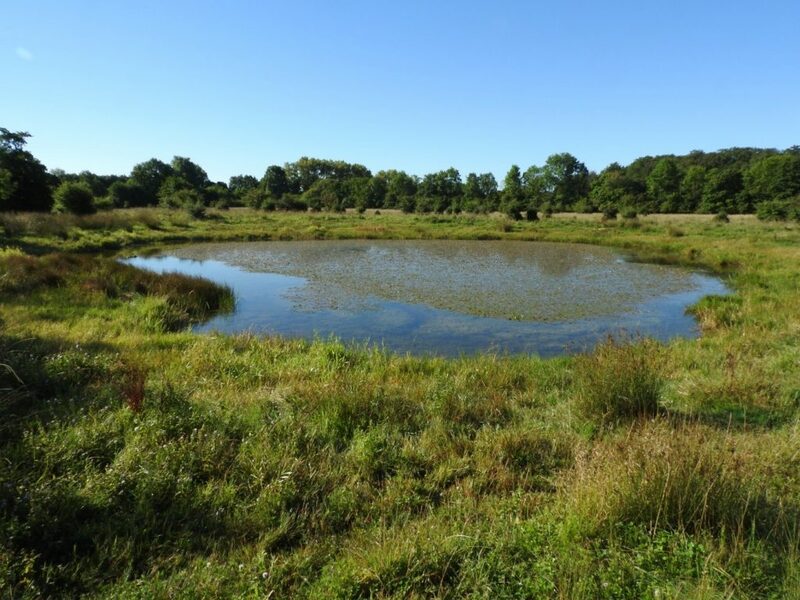 Further it is planned to create some additional new ponds on a grassland, where no ponds were created so far.